I have never in my life baked bacon until this past week. I feel like I've experienced some kind of magical revelation. It's really my new favorite way to cook it! 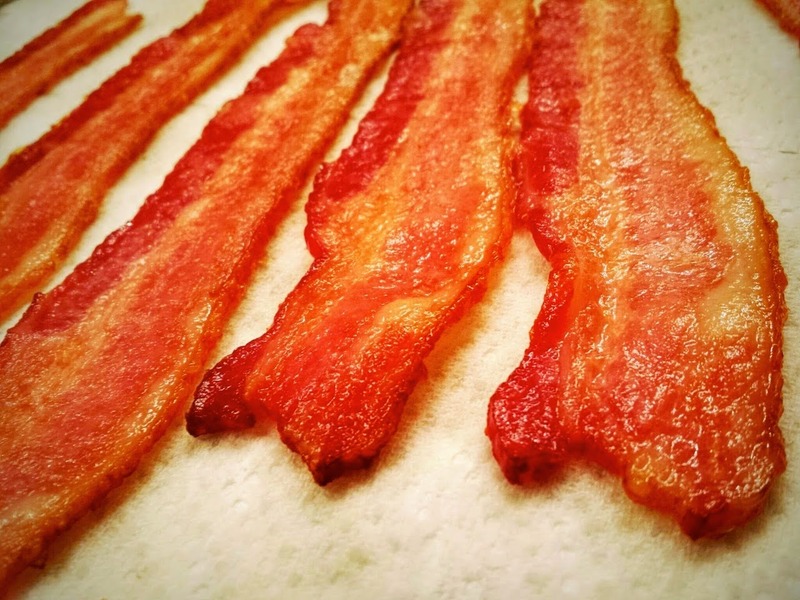 I know this is a very simple post, but I must encourage you - if you've never baked bacon in the oven, please find some time to do it! It's the easiest, simplest thing you can cook, and it yields the tastiest, crispest outcome. I guess I've always been old school, standing there in front of the frying pan letting it pop at me, trying to turn and turn, swapping out pieces that were unevenly cooked. No more! Thanks to Michelle Tam of Nom Nom Paleo for putting this solution in her book. I've never actually thought of baking bacon in the oven before. I know, I know, the directions are right there on the package! Bake 15 - 20 minutes at 375 degrees. So, so simple! !